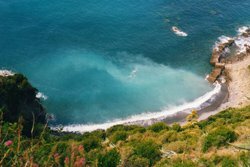 Travel tips: you must take 382 stairs of Long Stair (the city is situated at an altitude of 100 meters above sea level) to reach Corniglia from the train station. 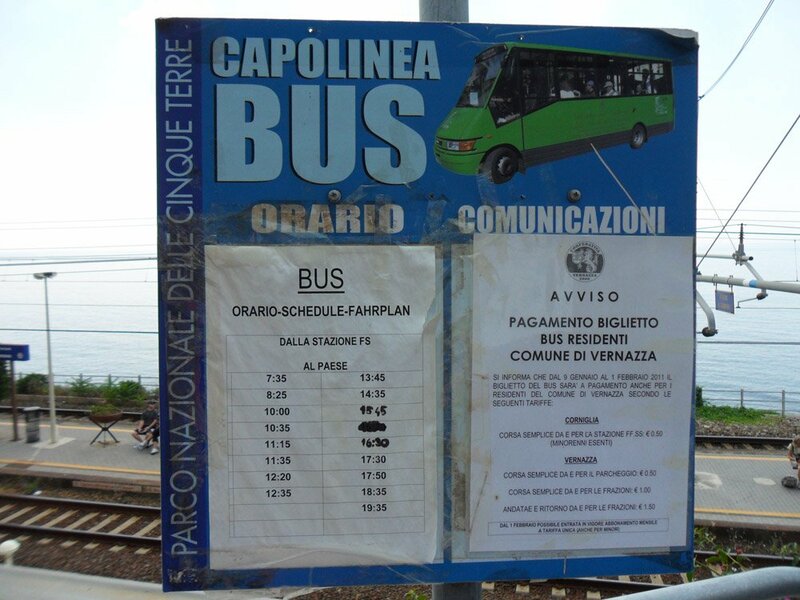 But there is also a bus which costs 1.50 Euro (included in Cinque Terre CARD), which brings you to the centre of Corniglia (there are schedules of bus, but it goes after the arrival of train). 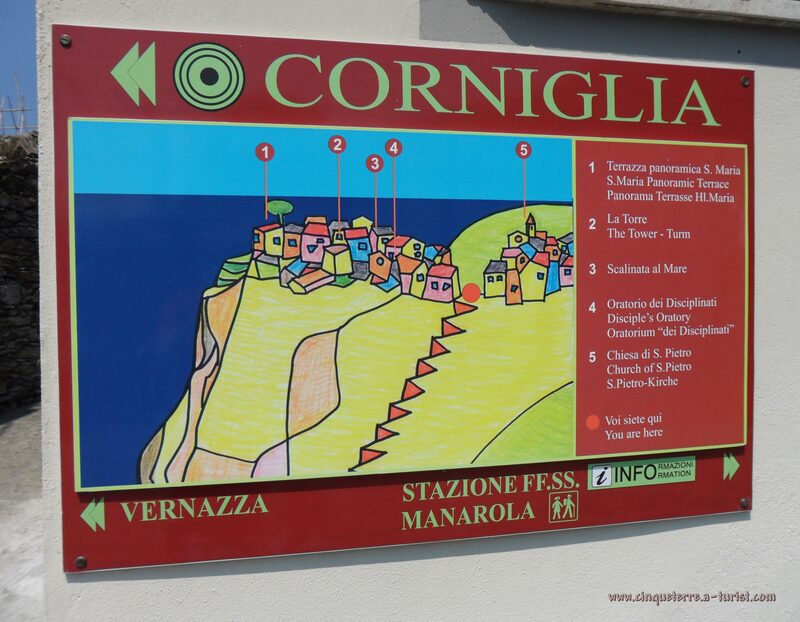 You can use it to reach Corniglia, and then return to the station by foot. Corniglia is the village in the middle of the Cinque Terre, the smallest and highest town here. You can also find here the beach called "Spiaggione" and another little nudist beach called "Guvano". 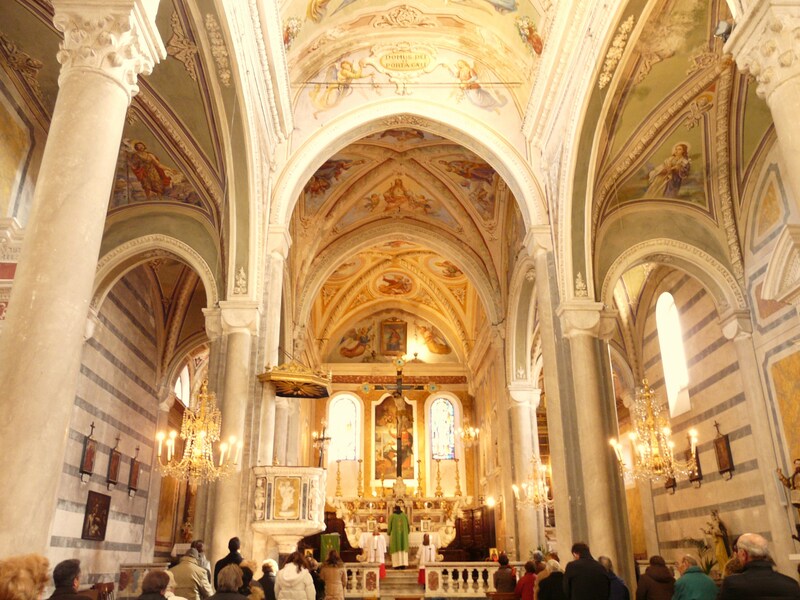 Splendid Ligurian Gothic style construction of 1334, built over a chapel dated pre-1000, has three naves, a façade with marble tracery rose window (by Matteo and Pietro da Campiglio), a round-arched portal and lunette enclosing small sculptures inside, a 12th century baptismal font. Located half way down the main "carruggio" of the village (Via Fieschi) we find this small building of the 18th century, behind which there is a terrace allowing a marvellous panoramic view. Remains of a castle and a polygon tower erected by the Genoese in 1556 are incorporated in the cemetery over the sea. 1. 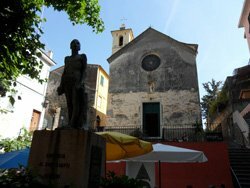 From the station of Corniglia you exit on the left, then along a road about 300 meters and you arrive at the tunnel entrance for Guvano. 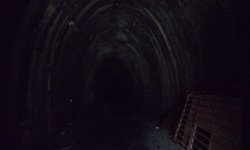 Recently the entrance to it is free, but the lighting in the tunnel turned off (photo to the left), you will definitely need a flashlight. 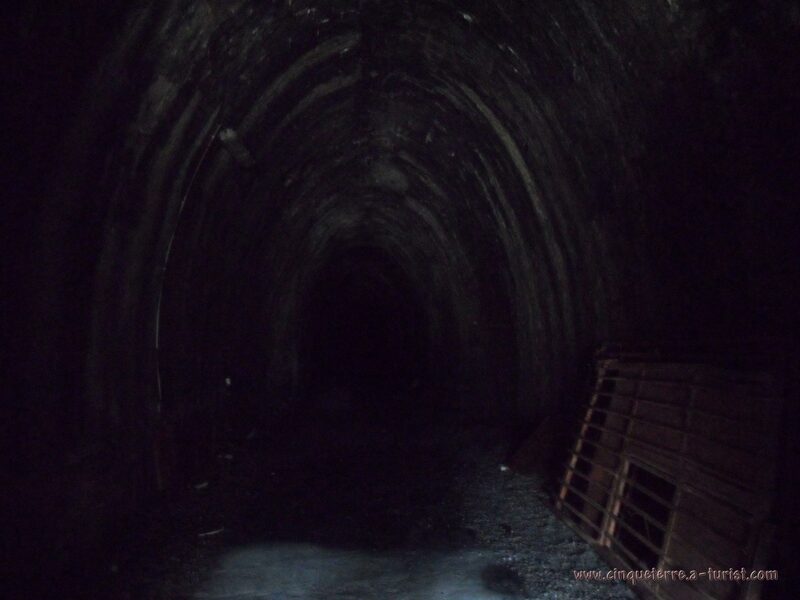 The tunnel is closed since 2016. 2. This path is closed since 2012: This trail is closed only when it rains, or after strong rains. 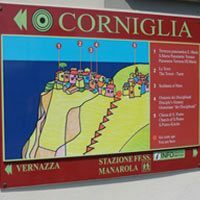 First you must get to the village: from the station with Long Stair, or take the bus, when you arrive to the town go left towards the center of Corniglia, turn right and reach the park, where the path to Vernazza begins, after about 15 minutes on the left you will find signs for the Guvano. 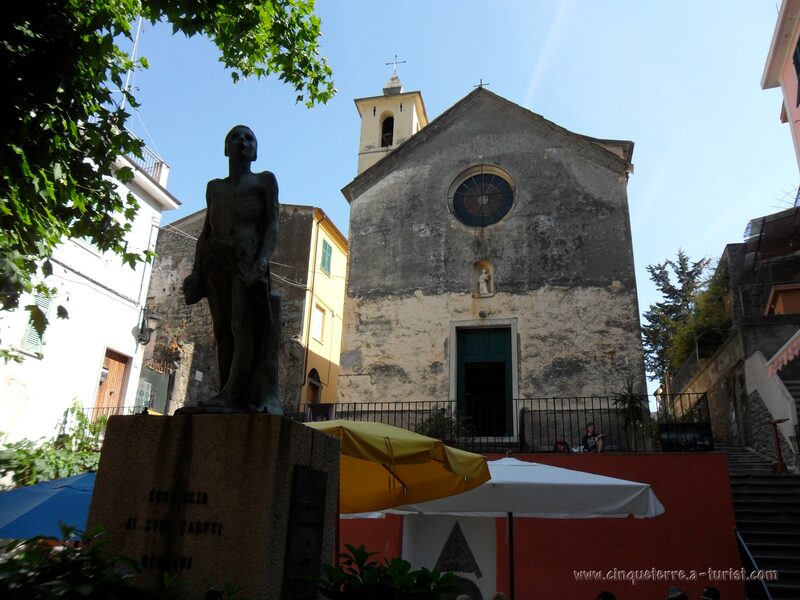 There are many rooms for rent in Corniglia. 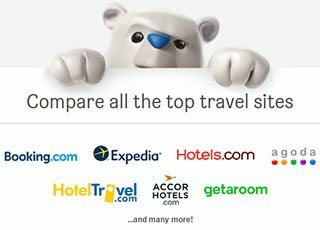 Search hotels in Corniglia (or other nearby cities such as Levanto and La Spezia) using the built-in widgets. The foundation of the village dates back to the Roman Age as testified by the name which finds its origins in Gens Cornelia, the Roman family to whom the land belonged. In the Middle Ages it was a possession of the counts of Lavagna, the lords of Carpena and of Luni. 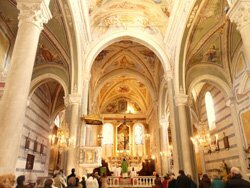 In 1254 Pope Innocent IV gave it to Nicolò Fieschi, who held it until 1276, when the village was obtained by the Republic of Genoa.